Founded on a passion to bring the finest Ceylon tea to the world, Anverally Teas have been committed to satisfying tea enthusiasts since 1890.  Over one hundred and twenty five years of trust and tradition with continuous innovation and constant dynamism has kept us in the forefront of the Ceylon Tea industry for more than four generations.Our dedicated team is driven to ensuring our promise of a perfect cup of Ceylon Tea at its best,only from Anverally. We are a tea based social startup from Melbourne Australia and getting the right supplier was the no 1 criteria for us. We made contact with a number of suppliers in Sri Lanka over a 12 month period until we were very fortunate to make contact with Andrew from Anverally & Sons. Andrew was an absolute breath of fresh air and delight to deal with from day 1. We continue to have a trusted and growing relationship with Andrew and Anverally & Sons.